Not only a great place to play - Year Round! It's a GREAT PLACE TO STAY - Year Round! 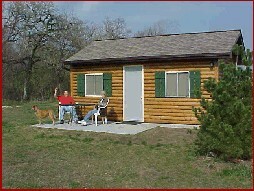 Hickory Hideaway Imagine yourself in a romantic, whirlpool cabin or modern, family cottage on a wooded, 10-acre park at the gateway to Lake Carroll, Galena and Northwest Illinois. 2 hours from O'Hare. Seven Eagles Campground Come and enjoy some of the best fishing and nature trails in the area. We have tailored lots for R.V.s, private cabins, lodging and tent camping. With full electric, water, showers and sewer. Fun for the whole family. New Heated In ground Pool. The Nest at Palisades Cabins Secluded Luxury Cabins, near Galena and Chestnut Mountain Ski Resort, surrounded by woods and where a short walk or bike ride will take you to Palisades State Park and the Mississippi River. Timber Lake Resort Timber Lake Resort boasts some of the most diverse natural beauty in Illinois including two spring fed lakes and 100 acres of timber.